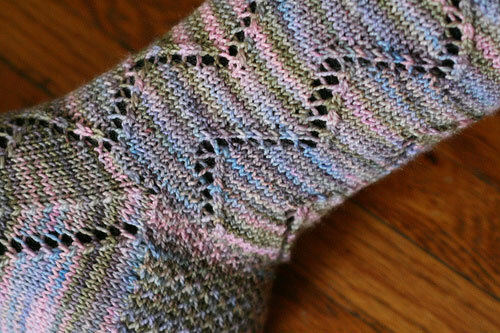 Like many knitters, my stash overflows with handpainted sock yarn, usually in 100g skeins. 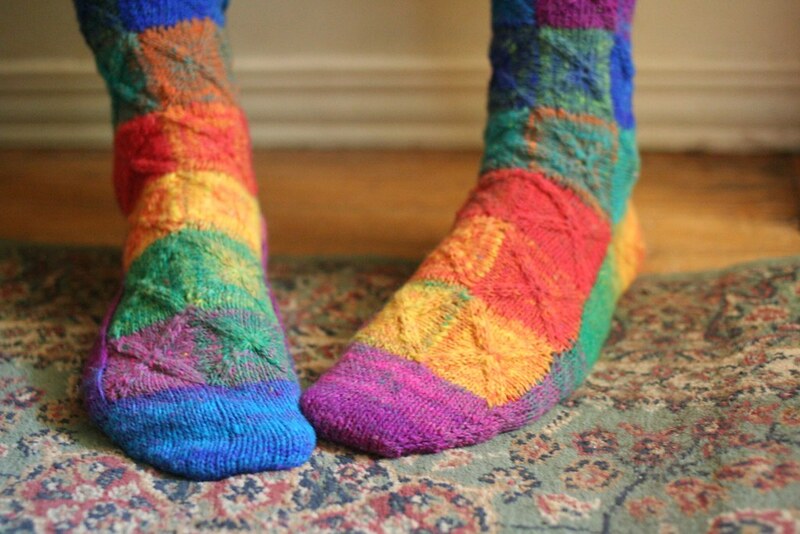 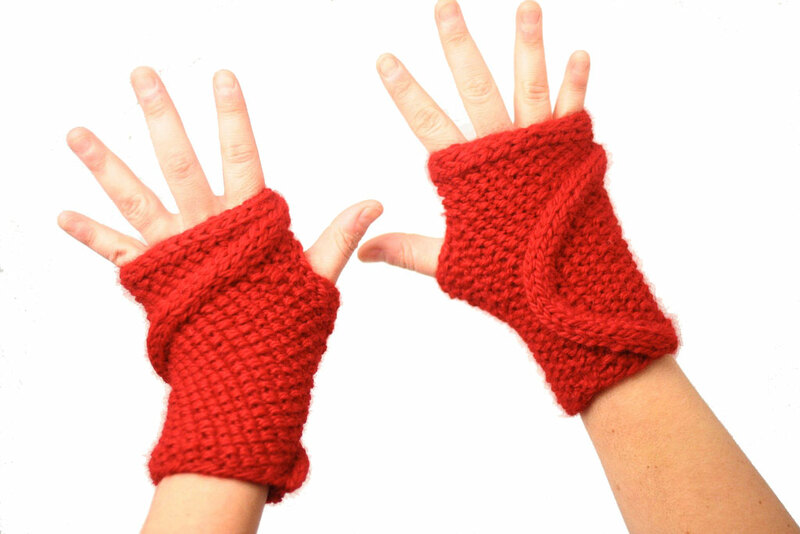 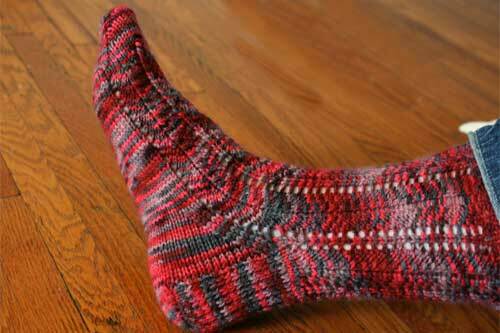 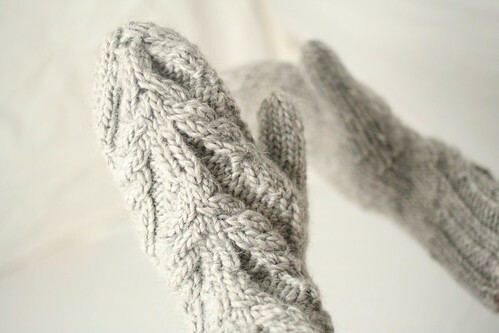 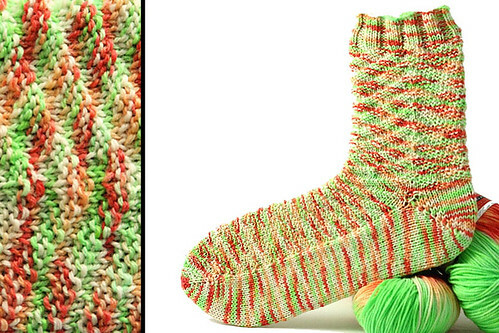 If I knit only socks, I would have yarn to last for several years. 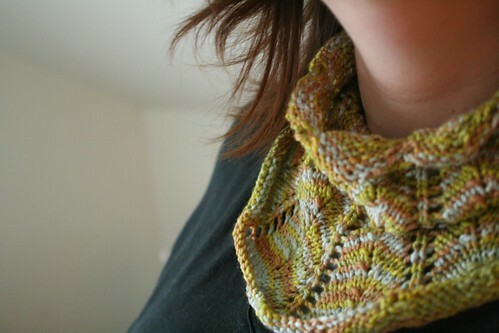 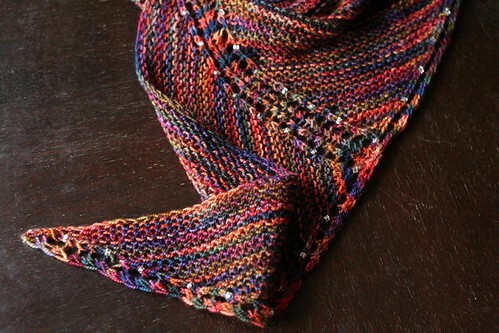 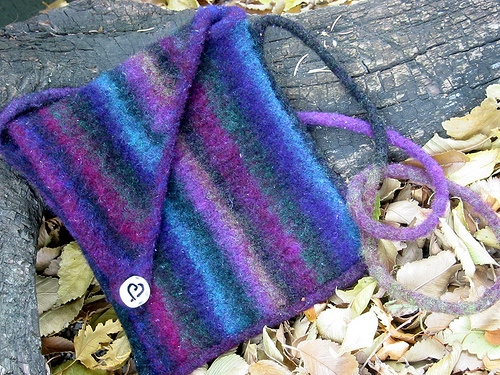 Instead, I wanted to design a simply addictive shoulder shawl pattern. 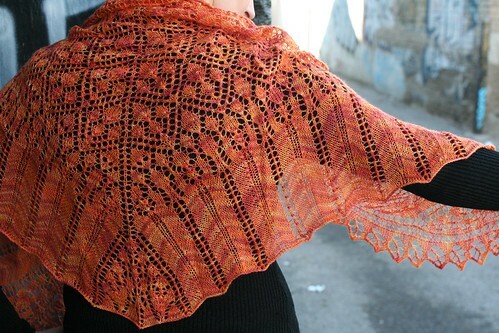 One that would be easy enough for knitting on my commute to work, but interesting enough to keep me motivated through the final stitches. 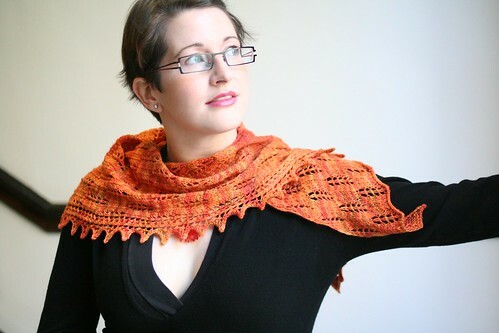 With a knit-on garter stitch border, this elegant shawl features many common lace-knitting techniques in an easy to memorize pattern. 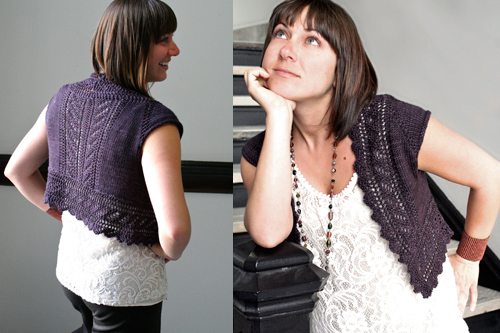 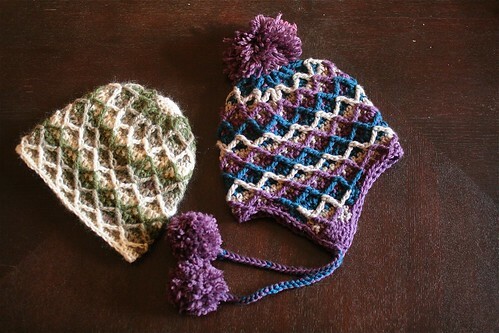 Named for my mother, I knit hers as a holiday gift, using the black merino/angora shown in the photos. 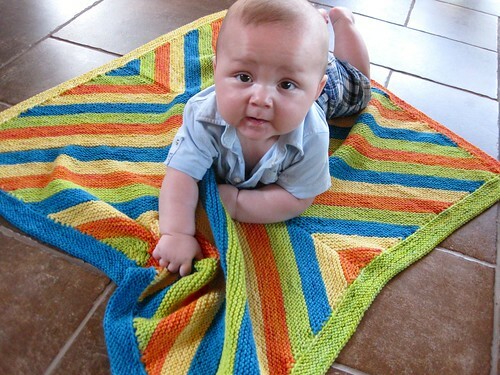 Instructions are provided in both charted and written out form. 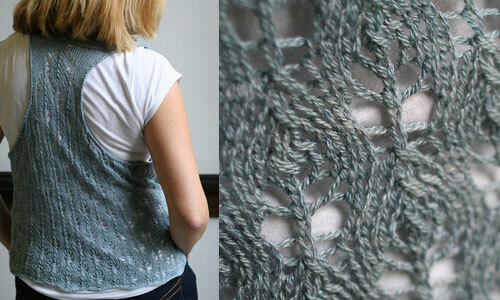 If you haven’t yet worked with lace charts, this may be your perfect first project! 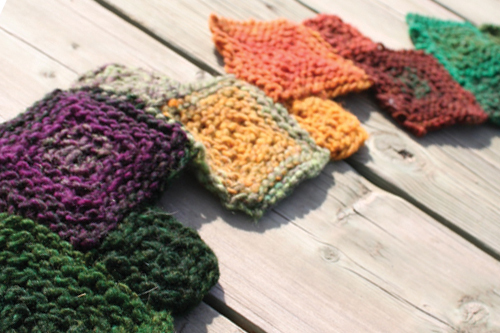 Try following along with the charts as you work through the written pattern. 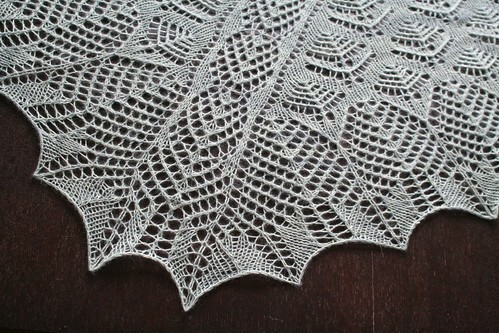 Approximately 48” across long edge and 20” deep at the point. 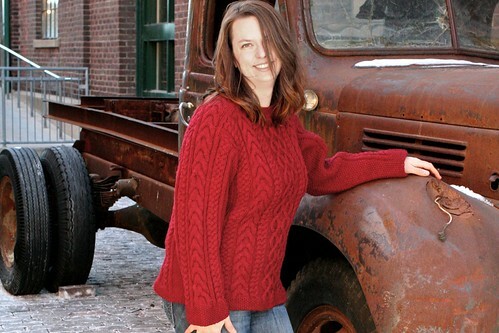 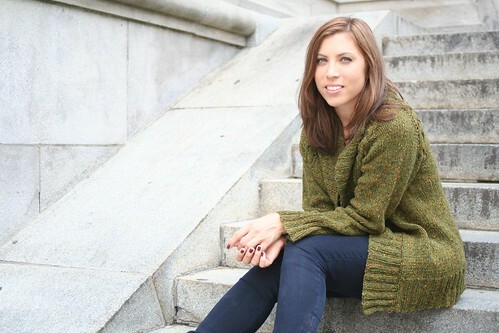 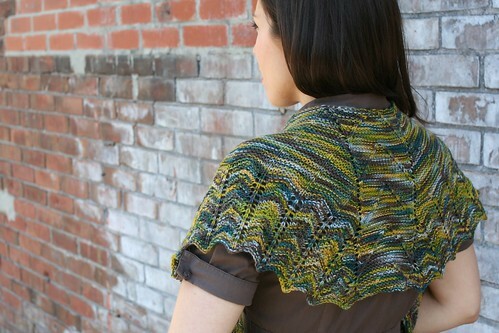 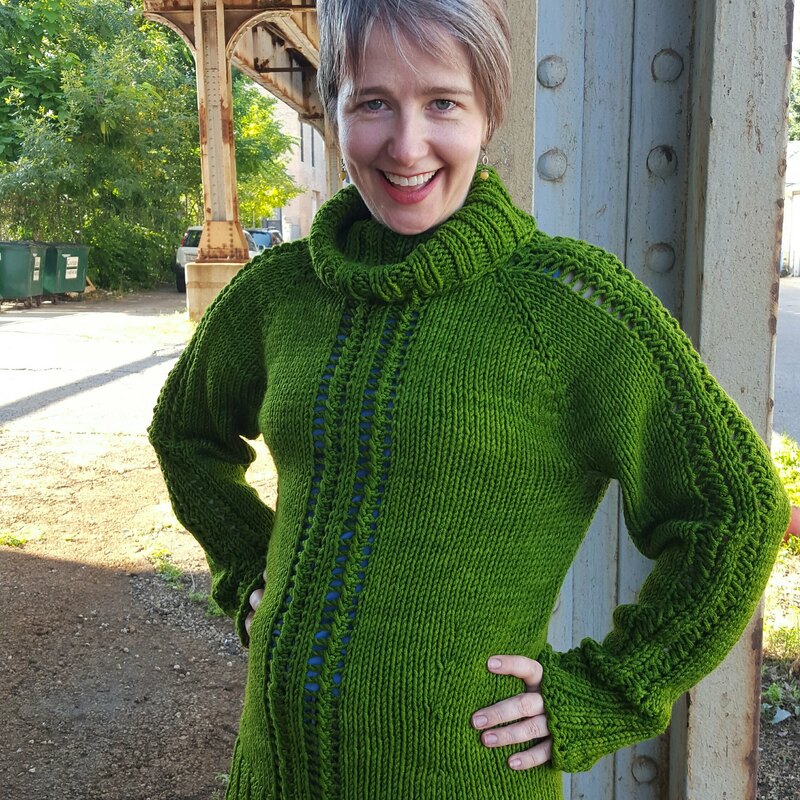 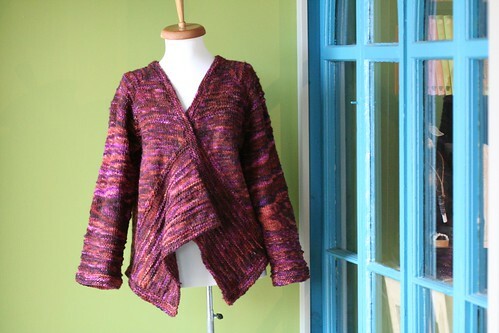 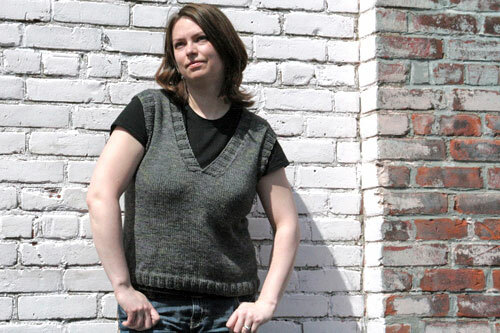 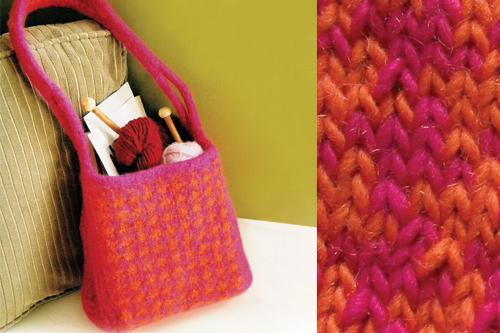 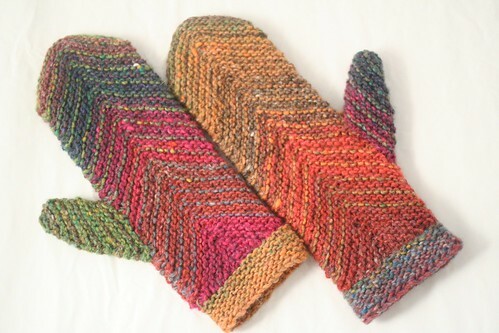 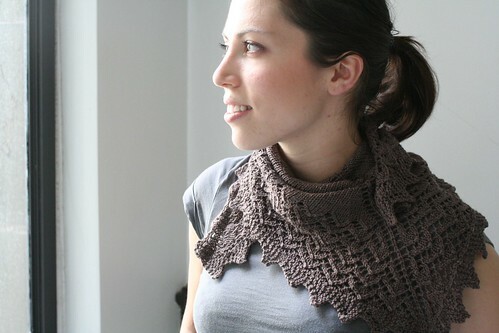 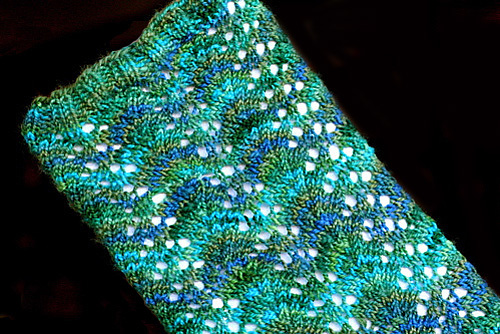 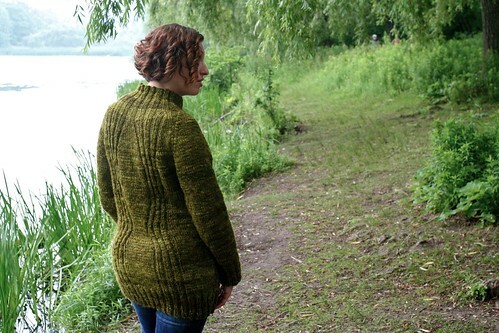 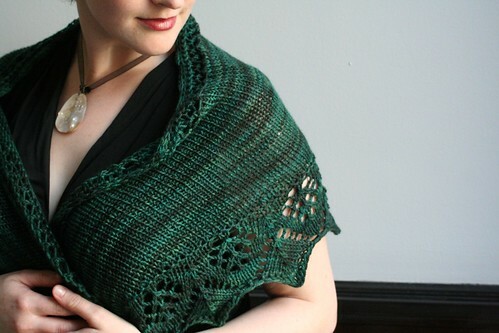 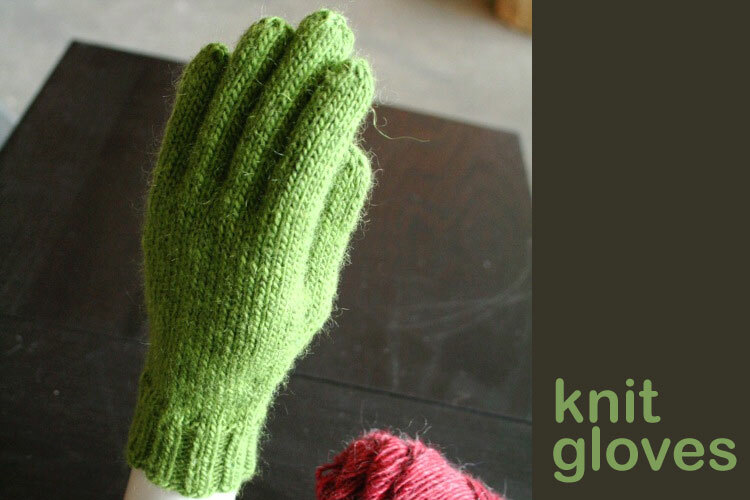 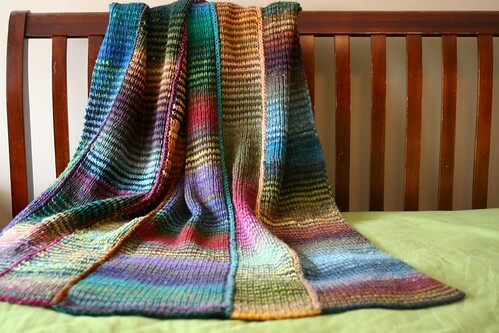 To see more projects and information about Karen Shawl, visit Ravelry.